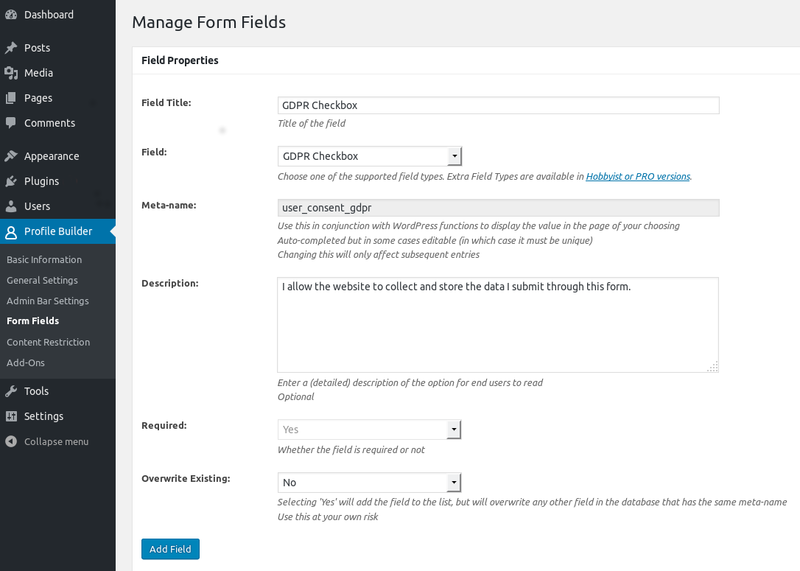 This default field is available starting with version 2.8.2 of Profile Builder Free, Hobbyist or Pro. This field can be used to ask the user for the consent of collecting his personal data and was added due to the new EU General Data Protection Regulation (GDPR) that will come into effect starting with 25 May 2018. More info about this can be found on this documentation page.